Motion UI is a standalone library that powers the transition effects used in a number of Foundation components, including Toggler, Reveal, and Orbit. System status to load indicators and notifications. Navigations and transitions can be used for hierarchy and connection between elements, function change, and other such effects. Visual feedback for acknowledgments and results of the actions. Designing with motion is a great way to draw user interest, lead the user’s eye to important areas of a web design, and make a website memorable, but it can also cause some technical drawbacks. A website’s interface is an impactful point of interaction for a brand. It highlights the brand’s purpose and personality. It also serves as an introduction to what dealing with the business will be like from a consumer standpoint. UI animations are highly effective at making an impact on the user. Animations can affect business metrics by assisting in navigation and impacting user retention. The human brain is designed to notice movement. This means there is an immediate impact on the user’s first impression of the brand because animations command attention, hold interest, imply value, and make the site memorable. 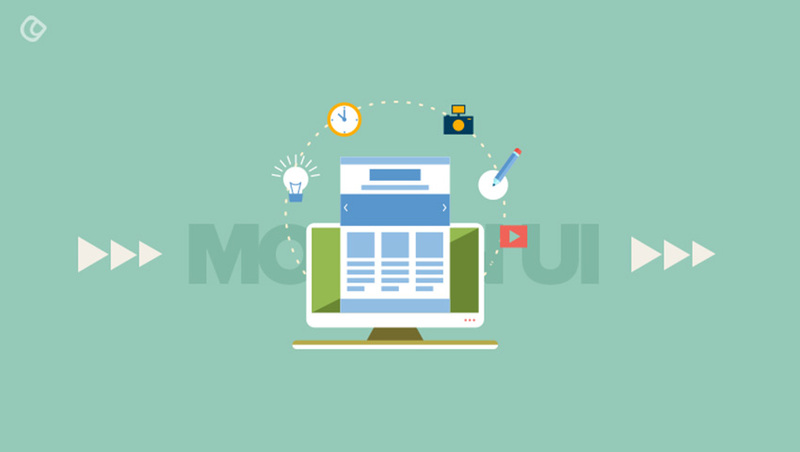 Once the user’s attention is captured, animations can guide the user through important elements of the website such as drawing the eye to CTAs and other important parts of navigation that drive end-results. Animations can even be used to demonstrate how something on the website works or communicate the status of an action to the user. However, before you run and add a bunch of animations to your website, there are potential drawbacks to consider, especially if animations are not implemented properly to impact UX. Going overboard with animations clutter the interface which leads to a bad user experience and a negative impact on loading speed. Slow loading is one of the biggest causes of users abandoning websites and animations can slow speeds down significantly if not executed with attention to quality, scaling, and minimal coding. Unoptimized animations can also result in rendering issues. Users do not want to wait for pages or animations to render, so make sure that rendering and loading take less than two to three seconds. Animations are a great tool for creating an engaging website and assisting user navigation and their overall experience. If the animations capture attention and guide the user to important website elements with quick rendering, then chances are those animations will increase user retention, conversions, repeat business, and recommendations.